as much attention as larger businesses. How Could Biometric Access Control Help Your Business? Is your company looking to review its security? With so many security systems available on the market today, it’s not easy to settle on the one which is best for you and your business. For increased security, you may choose to have an Intruder Alarm installed. Alternatively, we can install Cam-Tech CCTV Cameras, or perhaps one of our Biometric Access Control Systems. Every business should carefully consider the importance of security. We believe that small businesses should pay as much attention to their security as larger businesses. It is integral to your business and its daily operations. that you have adequate security systems installed. Therefore, this should be taken very seriously. Looking to install Biometric Access Control Systems? If you would like to install Biometric security then a professional security company such as Cam-Tech will be able to advise you. We will guide you as to what will work best for you and your business, as well as your budget. The team at Cam-tech Security Systems Ltd will take a full inventory of your site. This will determine what will work best for your business and the premises in general. We can install a Biometric system that meets your security needs and that also proves cost-effective for your business. 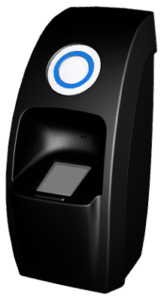 Do you think you or your Maidstone, Medway or Kent business and premises could benefit from a Biometric Access Control system? If so, please do not hesitate to Get In Touch today and a member of our expert team will be happy to help. We look forward to hearing from you and helping your business. I would like to thank Cam-Tech for a great service out of hours this weekend at our Lewes grid site. "specialists in designing, installing and maintaining security systems across Kent, London and the South East of England. Protection of your assets deserves the right solution and the right Security Partner!"